We recommend you book your place during peak times to ensure you don't miss out! 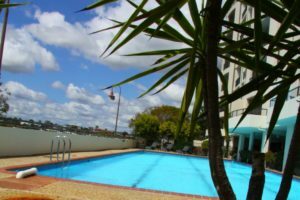 Relax and enjoy our beautiful, 25m salt water pool overlooking the Brisbane River after a hard training session or add some laps to your training routine to help build up your cardiovascular endurance. 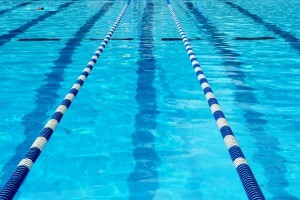 During the warmer months, we also run Aqua Classes. Take advantage of the inner city lifestyle and enjoy the rejuvenating benefits of alternating from the pool to our hot, dry sauna. 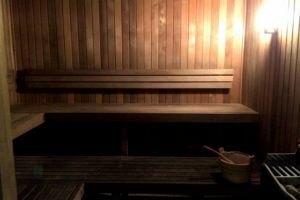 Get the most out our your gym membership and enjoy the numerous benefits of our Sauna, which include: increased blood flow to muscles, thereby releasing tension and soreness | stress reduction, not just physical, but mental as well | flushing toxins from the body | cleansing the skin | helping with endorphin control for a deeper, better sleep. 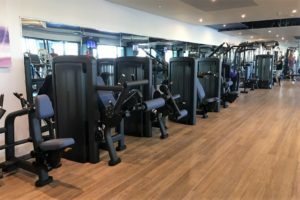 Healthworks Teneriffe – Gym and Fitness Centre – has a permanent Dietitian on staff available for appointments at the Club to provide expert nutrition and dietary advice. 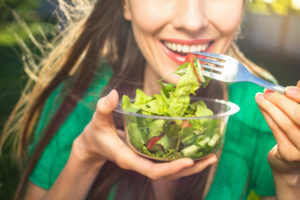 If you need help with how to incorporate healthy eating to support your lifestyle and improve your quality of life, you may benefit from seeing our Dietitian. 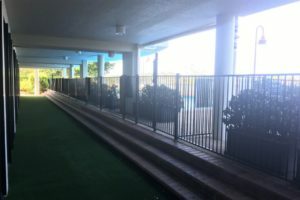 You’ll have no trouble staying on the cardio machines, which have a picturesque outlook over the pool and Brisbane River. Our equipment is the latest Life Fitness machines with touch-screen consoles to motivate you to take your fitness level to new heights! Watch TV or video content, connect an iPod® for touch screen access to music and movies or utilise the USB connectivity to create, customise and track workouts with the Virtual Trainer. Weights training is made easy with our NEW Life Fitness Insignia range, its visual appeal is topped only by the natural, smooth motion and tactile connection felt by the user when training. Majority of the upper body units utilise independent motion to maintain equilateral muscle development and accommodate exercisers with physical limitations. The machines even count your reps for you! Add variety to your training by taking advantage of our outdoor training areas. Create your own mini circuit or enjoy the fresh air while stretching after a workout. Our outdoor spaces are also popular with members doing kettlebells or functional workouts, combining cardiovascular, strength and flexibility training. 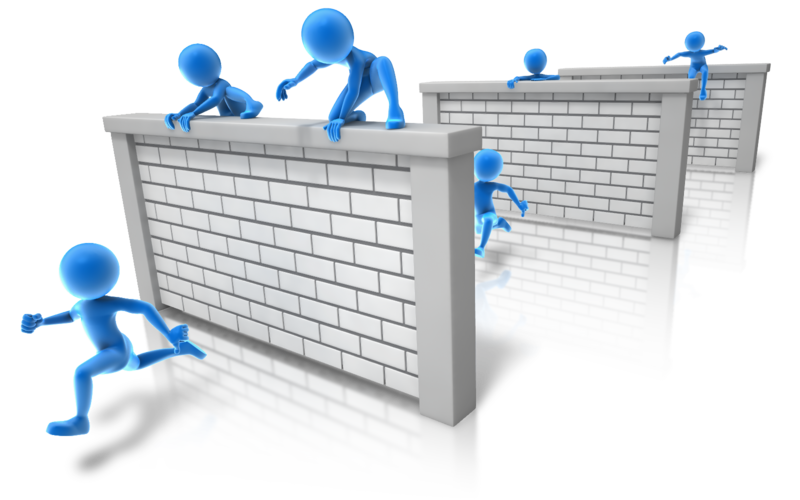 VIRTUAL CLASSES – COMING SOON! 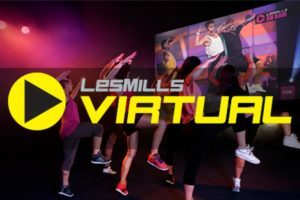 Les Mills VIRTUAL Classes include Body Pump, Body Balance, Body Combat, Sh’Bam, and CX Worx. These classes run all day, everyday and ‘On Demand’ for your convenience! Almost 100 classes are scheduled during the week in addition to our regular, instructor classes to cater for everyone’s schedule. Servicing the local suburbs including: New Farm, Teneriffe, Newstead, Fortitude Valley and Bowen Hills. Healthworks Teneriffe is in a convenient location along the river walk at 39 Vernon Terrace as part of the Goldsborough Place complex. Just a short 800m walk down the road, you will also find our 24/7 club at Gasworks, overlooking the gasometer. Welcome to Healthworks on the River and Healthworks Gasworks 24/7. We are the hub for the Newstead, New Farm, Teneriffe and Fortitude Valley health & fitness community. 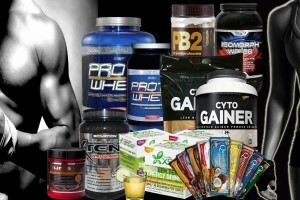 With the best Teneriffe gym in the area Healthworks caters for everyone’s needs. 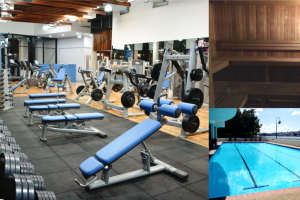 Across our two health clubs, we feature full gym facilities. With 24/7 access at Gasworks-Newstead and long opening hours at Teneriffe, there is no excuses. Facilities include a 25m lap pool and sauna at Teneriffe. 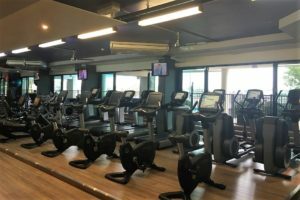 State-of-the-art gym and fitness equipment is throughout both clubs. With facilities second to none, all packaged up in two unique locations. 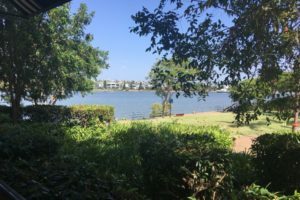 The Teneriffe gym is located on the pristine riverside at Teneriffe/New Farm. Enjoy the views of the river while you train. Gasworks overlooking the city and Gasometer at Newstead. The Teneriffe gym is conveniently within walking distance of local apartments. Gasworks has the convenience of 2 hrs free parking. We offer a wide range of classes at our Teneriffe gym. These include Yoga, Pilates, Spin, Pump, Kettle Bells and many more. Classes are designed for you to get the most out of your training. Specifically designed classes by our Personal Trainers you will achieve great results while enjoying your exercise. Join in our express classes at Gasworks before work, lunch times and after work. 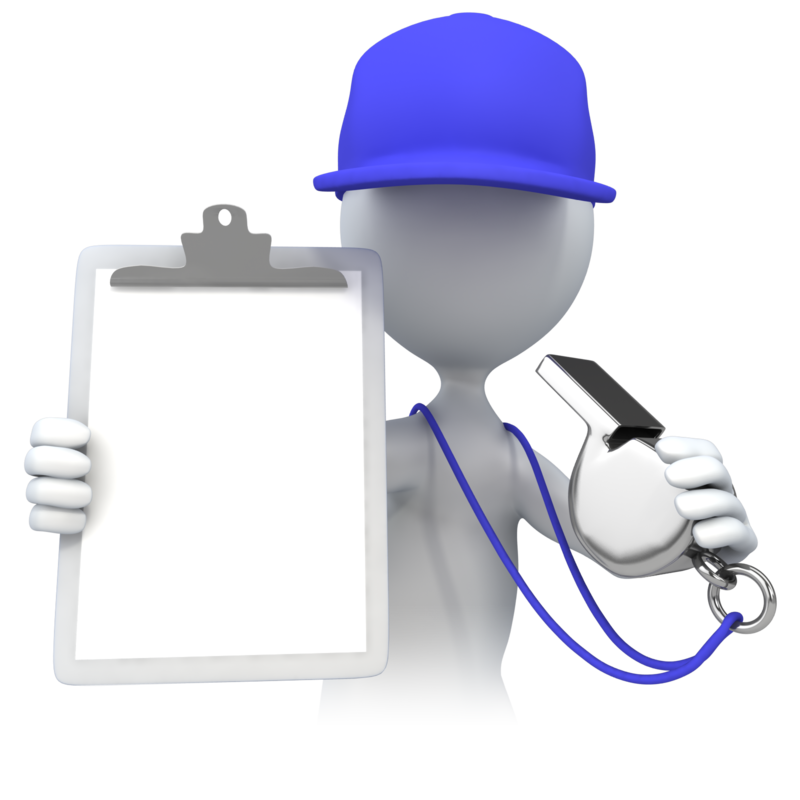 All classes are run by our trainers to make sure you get the most out of your busy time. Teneriffe,New Farm and Newstead’s best Personal Trainers will help you to your fitness goals. Along with 6 week and 12 week nutrition and exercise programs we can tailor a program just for you. Programs include Personal training sessions, Nutrition and Exercise guides, Assessments and access to our online nutrition program. We are more than a Gym we are a Lifestyle. Friendly staff and family atmosphere that makes everyone feel welcome. Whether you are a seasoned trainer, or just looking to improve your lifestyle we can help. Drop in anytime for an intense Personal Training session or just have a Sauna and relax by the pool.